>As a music semi-journalist, there’s a clause in the contract with myself that says I am required to write a “best of” blog for the Albums of 2008. This year was a rather unique one for music. The indie scene took several very separate but intertwining paths, namely into electronica and dance music (Goldfrapp, Jamie Lidell, Animal Collective, Of Montreal), Afro-Baroque-pop (Vampire Weekend), gospel-rock (Fleet Foxes), and a conglomeration of the three (TV on the Radio). Of course, the ever burgeoning singer-songwriters (Mountain Goats, Conor Oberst) have been around for decades, and even Bob Dylan joined the fray (but, thankfully, he didn’t join The Fray — har har har) and released a much acclaimed bootleg album of rare material (Tell Tale Signs). Of particular note in 2008 was the incredibly unique instrumentation that has begun to shine through in popular music (popular by my standards, not by records sold or money made touring). TV On The Radio used an entire marching band, Vampire Weekend thrived on their strings section, and Fleet Foxes soared to new vocal heights with five part harmonies. So, without further ado, I present to you, retrospectively, in descending order, my list of the Top 5 Albums of 2008. Fewer bands were a lightning rod for such disagreement in 2008. Vampire Weekend plays ivy-league music that is borderline exclusive, filled to the brim with Baroque strings and harpsichords and afrobeaets all jumbled and pounding together. The instrumental and stylistic combinations, on one hand, are detrimental to the band by serving as ploys delivered simply for the sake of novelty. 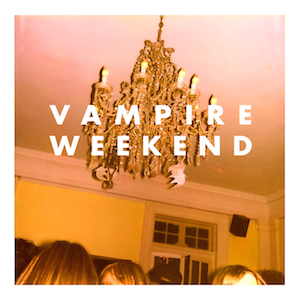 However, those same combinations create the distinctive “Baroque-pop” sound that makes Vampire Weekend so interesting to listen to. The results are undeniably entertaining, though unbearably pretentious to some. Most importantly, Vampire Weekend’s breakthrough debut album gives hope to millions of aspiring young musicians that playing house parties and building your own buzz is well worth it. Love it or hate it, VW will have you moving and singing with boundless positive energy (even if the lyrics do reference Louis Vuitton or Peter Gabriel). After his outstanding 2005 album, Chaos and Creation in the Backyard was followed up by the commercially monumental (but critically mediocre) Memory Almost Full in 2007, I had almost lost hope that Paul McCartney, now in his 60s, was still able to create the great music of his youth. 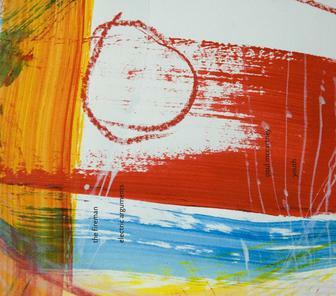 Though Electric Arguments was released late in 2008 as an alter-ego collaboration with producer Youth, it is a McCartney album through and through. Songs about love and quintessential McCartneyan sentimentality abound, but that does not stop the production from keeping songs like “Two Magpies” from becoming just another “Blackbird.” The same goes for the album’s opening track, “Nothing Too Much Just Out of Sight,” which reeks of “Helter Skelter,” but manages to obscure Sir Paul’s familiar vocals by pushing them to the very edge of their ever-lowering range. It’s not fair to expect McCartney to match his earliest and best work (see: “Yesterday”), but this effort is his best in years, and it reminds us that half a lifetime ago, this man was a part of the greatest band in history. Is it arrogant to reference myself? Or just plain lazy? Either way — this says it all. After seeing John Darnielle perform the songs from this album, any criticisms that I had of his repeating rhythmic theme have been overcome. I was convinced not only by his incisive lyrics, but more importantly by the purpose that the rhythmic theme plays in managing to subtly connect each of the songs to which it is applied. Those songs are clearly the most important on the album, and though they are manically dissimilar in lyrical theme, the thumping repetitious rhythms manage to tie them all together. My very own April 2008 review says it best: “Most songs after the first are rhythmically identical to the ones before it. 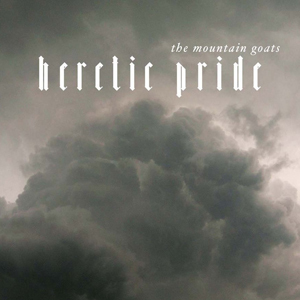 If Darnielle did this intentionally, a rhythmic theme is a stroke of genius.” I was so right. I probably would have named Dear Science, my album of the year had I not read the Spin interview in which lead singer Tunde Adebimpe declares that, while he appreciates all of the praise that the band’s fourth album has gotten (which is about as much as their 2006 classic Return to Cookie Mountain got), he is fairly certain that most reviewers just got lazy and started copying each other. I didn’t want to look like a plagiarist, but this album is all I can listen to lately. The tunes vary so widely, from gospel to hip-hop/R&B to soul to funk, that each listen feels like a complete musical trip. The album’s highlight has to be “Golden Age,” whose intensely uplifting theme is in sharp contrast to most of the material on both Science and Cookie Mtn., which are often riddled with a deep dark bass that underlies very busy arrangements and satirical lyrics. One of my most treasured answers to the question “What type of music do you listen to?” is “If I can listen to an album twenty times, and still hear new things each time, I’ll keep listening.” This album is the epitome of a synergistic, evolving sound that is just as surprisingly diverse and explosive on the twentieth listen as it was on the first. 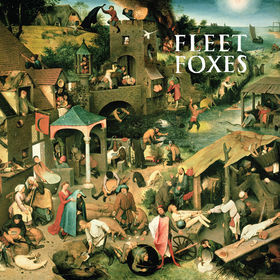 As if from another planet, Fleet Foxes arose from the burgeoning Northwestern US indie scene like so many Douglas-firs. Never in recent memory has a band debuted to as much acclaim and excitement as Fleet Foxes did in 2008. From the first notes of their Sun King EP to the closing of “Oliver James” on Fleet Foxes LP, a palpable magical quality seemed to engulf both band and listener. The melodies and harmonies are incredibly unique and, most impressively, organic. It is pleasantly clear that lead singer Robin Pecknold and co. feel out every note, and even the imperfections add to the earthiness that so deifies their singing. The album is all at once new and old, drawing on Renaissance flutes and chants as well as electric guitars. Each trip through the album brings new sights and sounds, and it plays out like a great movie that utterly involves the audience. Getting lost in this album was one of the best parts of 2008, and it is for that reason that it is my Album of the Year. It was a year filled with struggle and fear and cynicism from all sides, but also one filled with optimism in the prospect of a better and changed year ahead. Fleet Foxes captured that flourishing optimism, while still acknowledging and overcoming the negatives that preceded it. 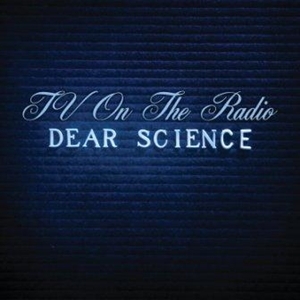 This entry was posted in dear science, electric arguments, fleet foxes, heretic pride, mountain goats, the fireman, tv on the radio, tvotr, vampire weekend. Bookmark the permalink.